Grocers’ Hall is a prestigious and highly desirable venue for private dining, corporate entertaining and lavish banquets. Built in 1426, it proudly houses some beautiful events spaces and can provide an evening of old-fashioned, traditional and truly sophisticated fun. The Entrance Hall provides guests with an astounding welcome. Spacious and light, it provides the perfect place for a registration desk, as well as opportunities for effortless corporate branding. It also has telephone points and 13 amp sockets, making it a perfect operation hub for your team to use for business functions. 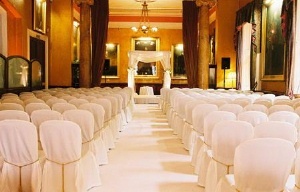 For a ball, banquet, dinner dance or high-end conference, The Livery Hall provides a truly stunning backdrop. Rich with historical artifacts and treasures, this is also a highly versatile space and allows you to decide exactly how you would like the room to be laid out. The crystal chandeliers and rich red walls make this a truly lavish space, fit for royalty and celebrity alike. 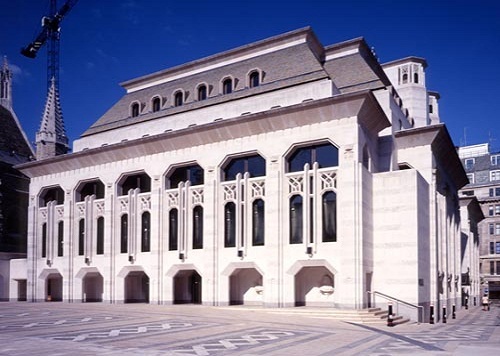 The classic ambience of the Livery Hall is complemented by state of the art AV equipment, and facilities for live webcasts, simultaneous presentation and video conferencing. This dramatic space has the flexibility to host any kind of function, and is sure to be remembered as one of the most beautiful events rooms your guests have ever seen. Taking its name from the stunning tapestry on the wall designed by John Piper, The Piper Room has a contemporary, corporate feel and has the advantage of large windows letting in plenty of natural light whilst not being overlooked. As mentioned before, it adjoins onto the Entrance Hall, and is a superb venue for meetings, award dinners and corporate entertaining. For even larger events, The Piper Room can also be used in conjunction with the Livery Hall, which is on the first floor. The food at this venue is certain to impress even the most discerning of guest. There are around 10 different set menus to choose from, and all are carefully constructed with someone to suit all tastes. The presentation is spectacular, not only of the food but of the tables, decorations and detail. You won’t find a single watermark on the cutlery, and the buffets are so immaculate that you almost don’t want to take them apart! Anything from a lavish six course meal to delicate finger food is executed with the same care, and the expert team will work with you to choose the wines, champagnes and cocktails that will best suit your event. 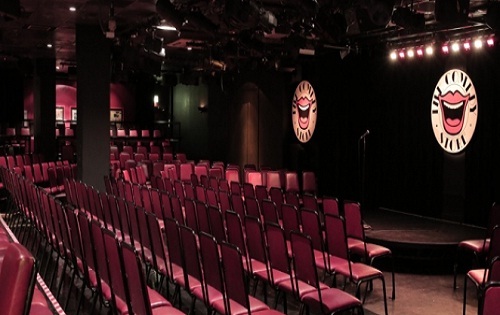 Located in the heart of Covent Garden, the London Transport Museum is a venue that has a gallery theatre and boardroom space that is ideal for every occasion.